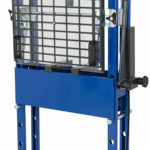 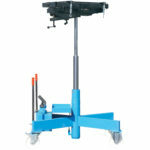 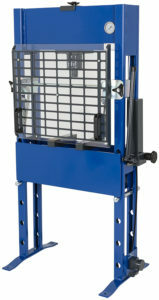 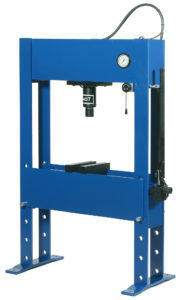 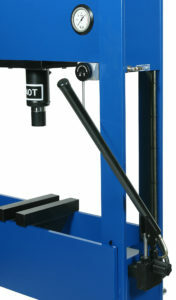 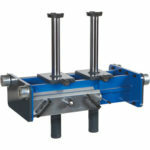 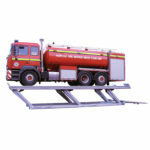 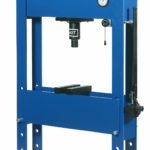 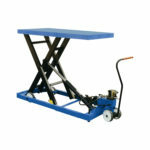 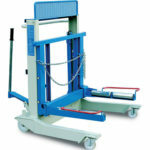 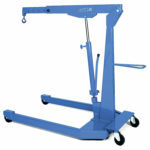 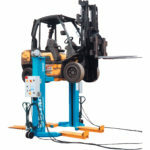 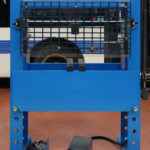 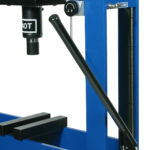 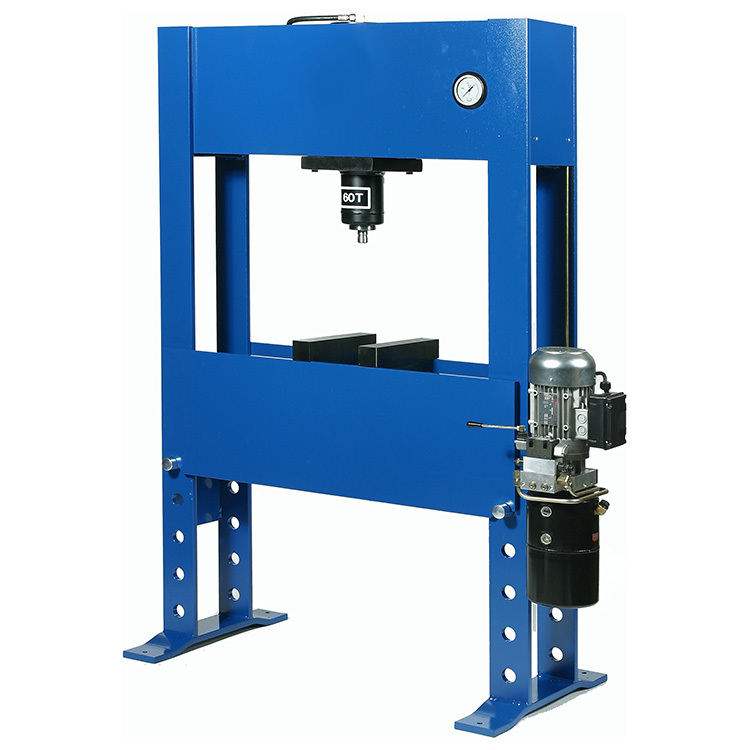 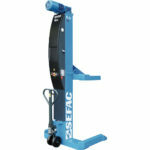 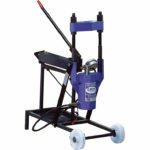 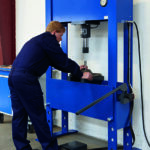 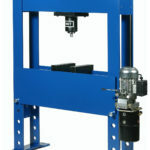 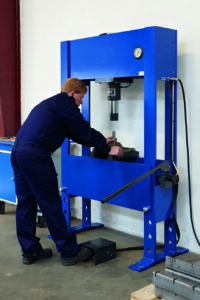 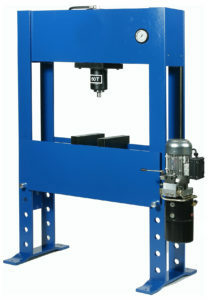 SEFAC workshop presses are designed for industry and workshops. 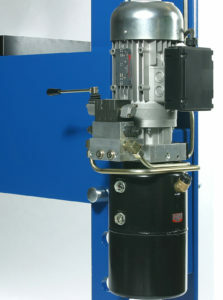 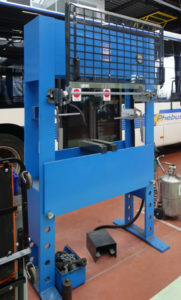 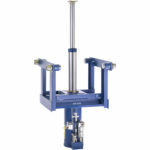 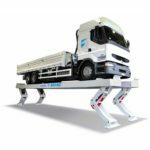 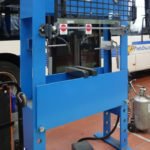 They are provided, in their standard versions, with a sideways moveable double-acting cylinder and with a chain/cylinder operated adjustment system of table (not for APA 9025H). 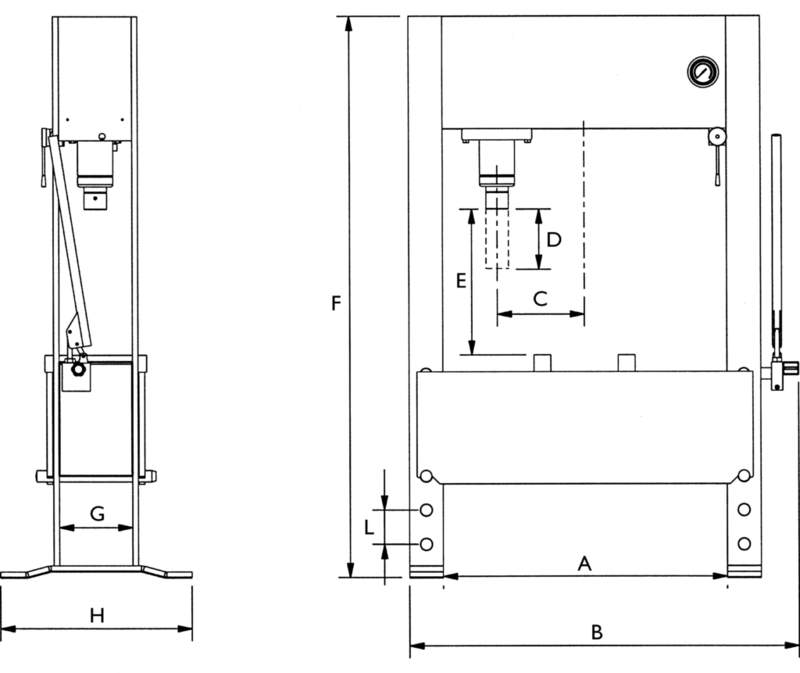 Dimensions in the following chart are quoted on the illustration. 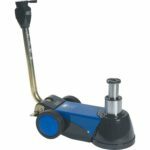 The EH version is equipped with a double effect jack and with a three-phased motorization (3×400 V), fonctionning with a 50/60 Hz frequency. 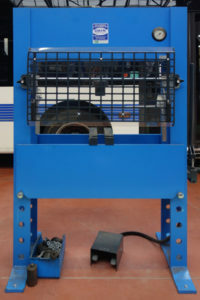 An adaptation of the motorization (in 3×230 V) with a 50/60 Hz frequency is possible. 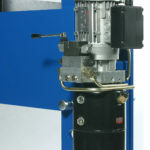 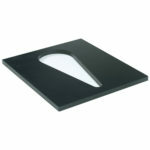 The EH is also available with a single-phased motorization (in 230 V or 400 V), by a 50/60 Hz frequency. 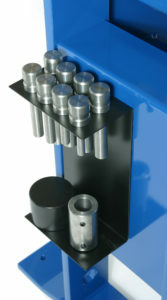 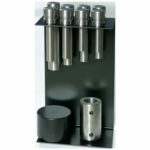 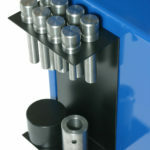 Set of piston heads (diam. 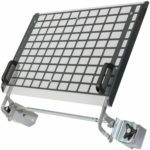 : 10, 12, 15, 17, 20, 22, 25, 30 mm) with bracket.